Home / Car News / What Affects Car Insurance Rates? There is a whole host of factors out there that affect your car insurance rates. Having more information about all of them can help you out so you understand better how you can control and reduce your costs. After all, no one wants to pay more than they need to. With this in mind, in this article, we will look in closer detail at all the different things which can impact car insurance and what you can do about them. The vast majority of traffic accidents happen when you are close to home, so where you live can end up having a big effect on your insurance costs. Neighbourhoods which are more densely populated statistically have a much higher proportion of collisions, while other areas are more likely to suffer from car thefts. Obviously moving house is a big step to take simply to reduce insurance costs, but it is something worth bearing in mind if you are on the lookout for a new place. A lot of insurance providers will factor your credit score into their calculations of how much to charge you, so if you needed another reason to pay your credit card bills on time, here is another one to add to the list. There is no specific score out there that directly affects your rate, but in general, lower scores result in higher premiums. Car manufacturers are looking at safety as one of their primary concerns these days, so if you own a car that ranks well on this front, it is likely that your insurance costs will be lower. New technology is coming out all the time that is making cars safer to drive including lane assist, rearview cameras, and responsive braking. 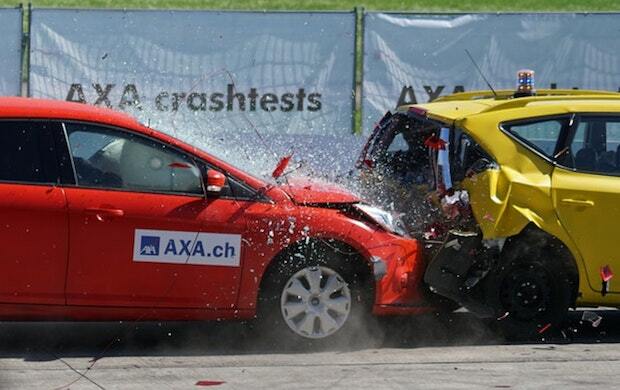 Before you buy a new car, it is also worth investigating its safety rating. Your own driving history is something that you will need to tell insurance companies about before they give you a quote. On a side note, it is always worth getting a number of different quotes before committing to one company so take a look at cheapautoinsurance.co.uk. If you have no blemishes on your record, you will, of course, be able to get a better deal compared to if you regularly get yourself into accidents. It really does help to adjust your driving habits and take on the roads sensibly. What you use your car for on a regular basis can also have a big impact on how much your insurance works out to be. Business commuters tend to put in more miles and this is taken into account accordingly. Also, if you can keep the car in a secure location like a garage rather than parking it out on the street, this is considered the far safer option. Anything you can do to lower your insurance rates is always worthwhile, so take the above factors into account to see if there is anything you can do about any of them.